Tyler checked his wrist-mounted barometer. “Low air pressure,” he sighed. 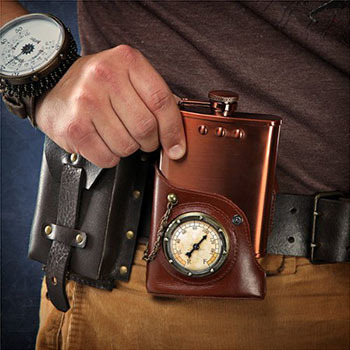 “I’d better have some tonic.” He unsnapped the Steampunk Flask from its leather holster and took a swig of Ecto Cooler. What is the most American egg, you might ask? 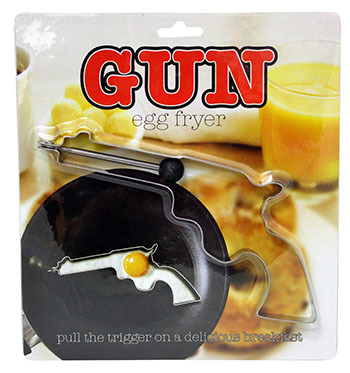 Obviously, it’s a fried gun egg. Because the only thing that can stop a bad guy with an egg is a patriotic American hero, also with an egg, and the hero will get his egg out first, and save the day. 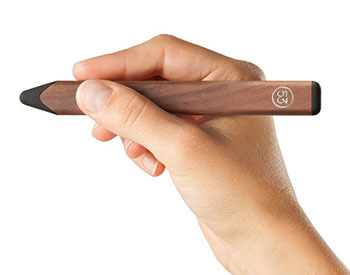 This is a small wooden stick with a rubber tip and a magnet attached. 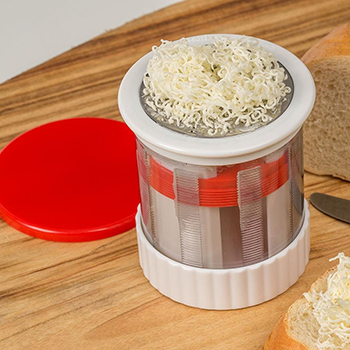 Guess how much it costs. The issue here is an adult buying a shirt for a child that reminds them they won’t live a hundred more years. 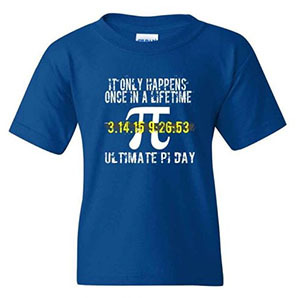 Unlike pi, life does not go on forever. Unlike pi, you will not be here in 2115. Here’s a shirt, and by the way, did you know you’re going to die in 99 or fewer years? 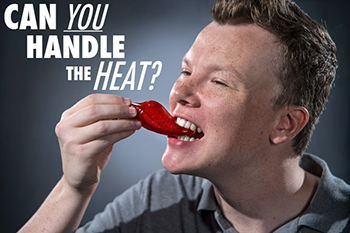 From the makers of “World’s Largest Gummy Worm” come the Spicy Gummy Peppers, a set of three oversized sugar-blobs infused with pepper flavoring and capsaicin. Mmmmm. 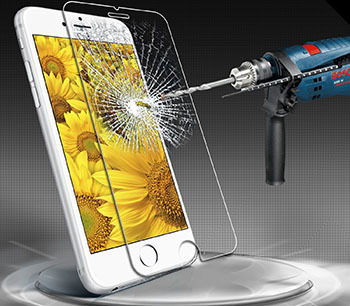 Finally… No more accidentally drilling through my iPhone with a tiny drill.